Dr. Simon Rochester has been conducting experimental and theoretical research in AMO physics since 1995, and is an author of over forty scientific papers and the developer of the Atomic Density Matrix package for Mathematica. He also authored—along with Dmitry Budker and University of Latvia Rector Marcis Auzinsh—the atomic physics textbook Optically Polarized Atoms: Understanding Light-Atom Interactions (Oxford University Press, 2010), and is a contributing author to the reference book Optical Magnetometry (Cambridge University Press, 2013). He received his Ph.D. in Physics from U.C. Berkeley. 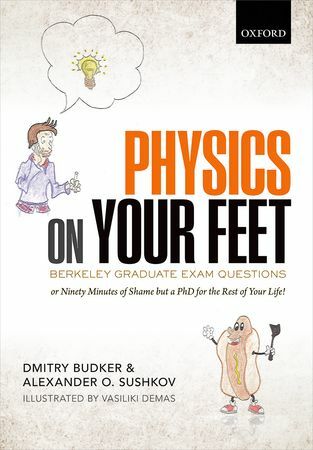 Dr. Dmitry Budker has been conducting cutting-edge physics research since 1983. He is a Fellow of the American Physical Society and an author of over a hundred research articles, the above-mentioned textbook, the books Atomic Physics: exploration through problems and solutions (Oxford University Press, 2008) with D. F. Kimball and D. P. DeMille, and Physics on Your Feet with Alexander Sushkov, and is co-editor of the book Optical Magnetometry. He is a co-author of US and International patents, and has years of experience in research, teaching, and consulting for government and industry. Dr. Brian Patton has been working in the field of experimental atomic physics since 2000. His expertise spans nuclear magnetic resonance, spin-exchange optical pumping, and fundamental and applied atomic magnetometry. He is the author of over a dozen scientific articles, is a contributing author to the reference book Optical Magnetometry, and has co-authored several patents. Dr. Patton is presently affiliated with the University of California at Berkeley and the Technical University of Munich, where he is a member of the collaboration designing a next-generation measurement of the neutron electric dipole moment. Simon Rochester and Dmitry Budker are recipients of the 2007 R&D–100 award for the development of the novel technique of Laser-Detected Magnetic-Resonance Imaging, a major breakthrough in MRI that eliminates the need for a high-field magnet.